On July 14th, 1925 a meeting of the Board of Directors and Tournament Committee of Del Paso Country Club was held. The question of holding a golf tournament during the State Fair was agreed upon. The event would take place at Del Paso C.C. on Labor Day Weekend. 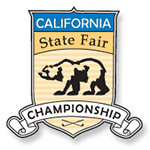 A week before the inaugural event, the Sacramento Clearing House donated a perpetual trophy costing $1000 to be awarded to the State Fair Champion See past champions list. The inaugural event was won by Geo Richie, from the Olympic Club. The single most influential person in the success of the championship is Frank Freer. As the Tournament Director for over 50 years, Frank has dedicated himself to the championship and is always a favorite among the players.